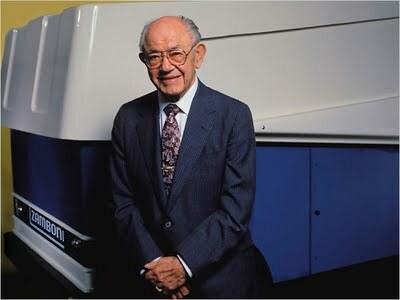 Frank Zamboni is one of those very few people who invented something and made a business out of it successfully. How did he succeed where others failed? He and his brother started an ice-making plant and entered the block ice business in 1927. So, by the time he invented the ice resurfacer, he had plenty of experience about the vagaries of ice. Perhaps more importantly, he had experience operating a business. When the brothers found that electric refrigeration units were eating away at their business, they could have quit. Instead, they adapted, and decided to open an ice rink, thus finding a use for their existing refrigeration equipment. 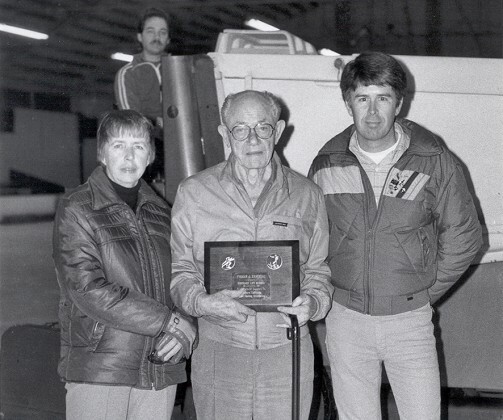 When Frank, along with his brothers and a cousin, opened Iceland rink; it became very popular. One of the main reasons it became so popular was because Frank realized that the rippling caused by the pipes that were laid down to keep the rink frozen could be a problem, and figured out a way to eliminate that. Resurfacing an ice rink was a one and a half hour task for the three of them. Frank knew that being faster meant more business, so he buckled down and invented the ice resurfacer – a machine which did the same task within 10 minutes. Moreover, since it was a machine, it needed only one person to operate it. He applied for a patent in 1949 and was issued it by around 1952. He could have continued using his invention in their business, but he realized that scaling up was possible only by productizing his invention. So, he set up Frank J. Zamboni & Co. in Paramount to build and sell the machines. The ice resurfacer was neither his first invention, nor his last. He continued inventing. In the 1970s, he invented machines to remove water from outdoor artificial turf surfaces, remove paint stripes from the same surfaces, and roll up and lay down artificial turf in domed stadiums. His final invention was an automatic edger to remove ice buildup from the edges of rinks. 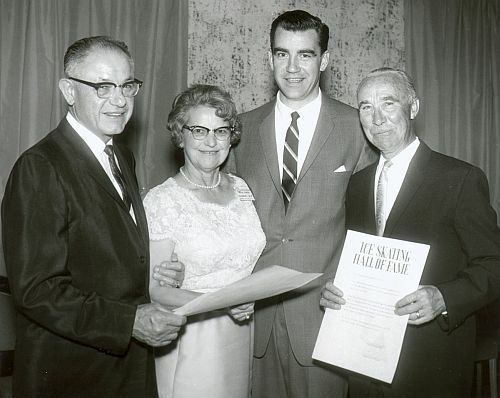 Overall, during a 50 year period, he was awarded 15 patents related to ice resurfacing, refrigeration, etc. He was inducted into the Ice Skating Institute Hall of Fame for his inventions.